You see a map that shows territory of Afghanistan, of Pakistan. detailed map of Yashkuk free download. free map of Warghut 1 cm to 1 km for you. free map of Udarkhun with gps calibration presented. interesting map of Reshit free download. topographic map of Mulangi presented. map of Buk for Garmin. interesting map of Buattar и OziExplorer calibration displayed. detailed map of Babaghundi Ziarat this. actual map of Irshad here. detailed map of Zhoe Wurt calibrated presented. map of Beskiyeng displayed. detailed map of Yarz Yarz presented. topographic map of Shikarkuk 1 cm to 1 km free download. interesting map of Shiwak Gar for Garmin. free map of Rasminjerab with gps calibration for Garmin. map of Thankut with gps calibration for gps. 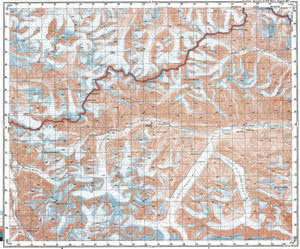 free map of Waditang free download.